Many small pets are fairly well adapted to deal with cold temperatures and will make deep warm burrows to stay snug. However, in truly bitter weather, smaller animals are at higher risk as they will struggle to maintain their body temperature, and may literally freeze to death. More dangerous still is heavy rainfall or lying snow. Cold AND wet will kill most rodents very rapidly - they aren’t adapted for it, and exposure rapidly takes its toll. It can also lead to other health conditions such as respiratory or skin disease. We therefore advise making sure that pets have additional bedding and burrowing material, and warm houses to retreat into. If at all possible, move houses, pens or cages indoors or at least into a shed or garage, out of the wet. 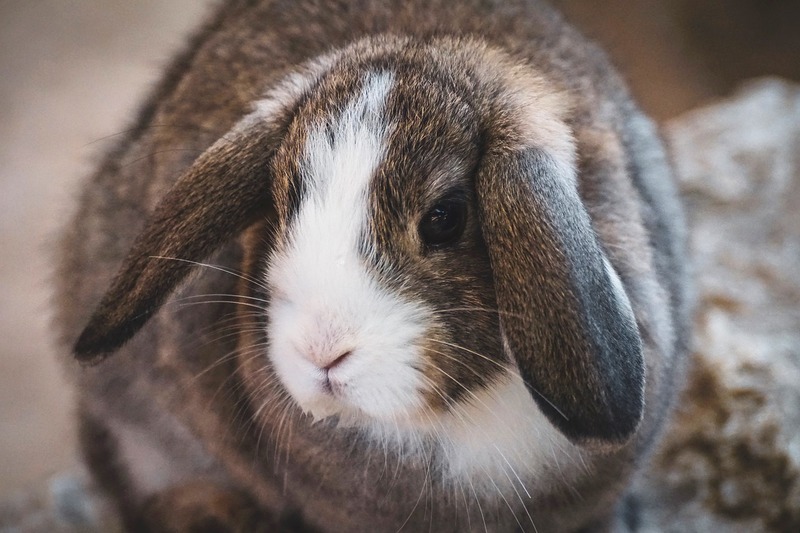 If staying outside is necessary (for example, some outdoor rabbit houses), make sure the house area is fully waterproof, and if possible put a roof over the run as well, to prevent it turning into a sodden quagmire. Some rodents will enter a true hibernation phase over the winter, but this is not true of most common pets (guinea pigs, hamsters, gerbils, rats, rabbits). In extreme weather conditions they may enter a “torpid” or hibernation, but this should not last more than a few days. In general, if they feel the need to do so, it’s too cold for them where they are! Hamsters are among the most “cold resistant”, and will often hibernate intermittently over the winter, but even so, it is a defensive reflex rather than a species requirement. Make sure these pets have a plentiful food supply, as they will need to wake up periodically to eat. Or, even better, keep them warm so they don’t need to! Cold weather means using more calories simply to stay warm. As a result, you may find your pets are much hungrier than usual over the winter. Feeding extra may be useful, although remember most rodents will hoard food so much of what you offer isn’t actually being eaten (at least, not right away!). However, also watch out for obesity - rodents will happily gorge themselves given the chance and can get seriously overweight, so adjust how much you’re feeding to their body weight or condition. One of our vets or nurses will be happy to show you how to check body condition, if you ask! In cold weather, it is quite likely that outdoor pets will find their water frozen. With small animals and high metabolic rates, this can lead to dehydration (although in general hamsters and especially gerbils are quite drought-resistant, even they need to drink sometimes!). In general, bottles freeze faster than bowls, so it might be worth considering using water bowls, but either way, it is important to check the water supply regularly and provide fresh water throughout the day if temperatures are around or below zero. Are you worried about the health of any of your pets - big or small? If so, please give us a call! Our vets and nurses will be more than happy to help you to help them.